The best vegan buttercream recipe is finally here! Well, actually I’ve been making this recipe for a long time so now not only is it animal friendly, but ALLERGY friendly too! So many people don’t correlate the vegan lifestyle and diet with those who are also lactose intolerant and have egg allergies as well! More and more people are becoming intolerant to those two ingredients alone, so now we can be sure everyone is safe and HAPPY with buttercream galore! By using a blend of vegan butter (I use Earth Balance Buttery Sticks) and hi ratio shortening this recipe is the closest version to the buttercream I used daily when I owned my bakery. 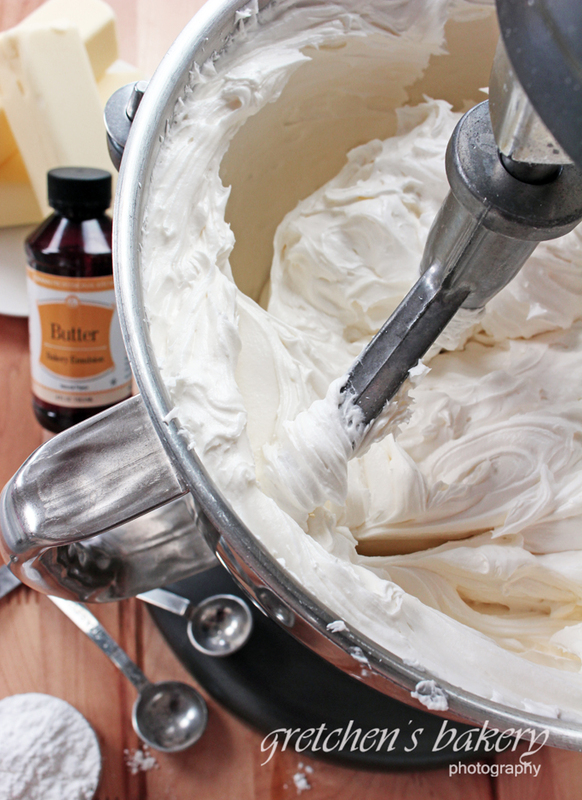 People came from miles around to get the best buttercream, now you can make it at home! The addition of butter flavor is optional (but use it sparingly, it can give an off taste if using too much) about ½-1 teaspoon for this entire recipe will suffice. Scrape the sides and bottom of the bowl to make sure it is evenly mixed and add the salt and flavors. .
Where can I get hi ratio shortening? Brand recommendations? I have been to sprouts and whole foods with no luck. Hi Gretchen! Even though this recipe requires vegan butter (which is yellowish), does the end result look white or yellow/white? hi! if i use crisco instead of hi-ratio shortening, would it still be stable/smooth/yummy? Will this buttercream crust up? Hi Gretchen would u recommend this for a wedding cake? Hi! I was just wondering which hi-ratio shortening you prefer. Hi! Whast is the vegan butter brand do you use? Can I use this for a tiered cake with fondant accents? Do you think it will be firm enough? yes it will be great! Can you create flowers with this recipe? Do you have any images of the flowers created? Thank you. I knew your regular buttercream made flowers but wasn’t sure about this vegan recipe. One time I used vegan butter and my icing was very soft. Can’t wait to try your vegan buttercream. My friend is vegan and I want to make her something that tastes good and looks nice. Thanks again. Made the icing today for my friend’s cake.. Recipe was very easy to follow and turned out great. She loved it, as did everyone else. Thank you for the recipe. Thank you SO much for so generously sharing your recipes!! I just made the Italian Meringue Buttercream and it turned out perfectly! Now I see that your “best buttercream” doesn’t contain any aquafaba. Do you think there’s any advantage to using aquafaba? Thanks again! Made this recipe this recipe for the first time this Weekend. CK high ratio, and earth balance. Tasted great, had a good mouth feel, Best part it iced beautifully!!!! Was very easy to work with and get a nice smooth finish! BUT, I felt it was rather soft(even after some refrigeration. I feel this wouldn’t work for me for buttercream flowers or such. I do live in higher humidity area so maybe that’s why? Wondering if you can give me tips as to why it was kinda loose. Thanks! Do you have any other recommendations for high ratio shortening? I live in the UK and don’t think I can get it here. I can get trex if that is of any use, if you know of it? Hello, I have used a similar recipe that uses vegan butter and I find that my gel colors do not work well with it. The color will not mix with the fat. Does this recipe work well for rich colors and decorating? This recipe looks great and seems promising. I have in my house Spectrum non-hydrogenated organic all vegetable shortening. Would this work? Or do I need to use that specific “high ratio” shortening? Thank you thank you thank you. I only make my kids cakes, and a couple of friends a year but when i went vegan i thought it was over. I can’t wait to try SO many of your recipes, especially the buttercreams! You are my moral lifesaver! I am excited to try this. Where I live, the only vegan ‘butter’ would be to either to use margarine or to use, my preference, coconut oil. As for hi ratio shortening, again, or margarine (that I am not fond of using at all) or nothing at all 🙁 My question, is there anyway of using the coconut oil for both? Coconut oil is not great for buttercream, because the melt point is so low, like literally when you touch it – it begins to melt. So as you could imagine using it in buttercream will leave you with a VERY soft result. Margarine is fine, more stable. I was asked to make a vegan cake ,and of course to use vegan buttercream frosting. Im in uk, will u suggest to use margarine? Or shortening like what I read here which is trex? Are they gonna be good to pipe/for decoration??? The last time I made vegan buttercream its yummy but hard to use for decoration,also became crunchy when dry. Hi Gretchen, just a few questions about this recipe. Ive been using it for a while but I seem to have issues with a) it being bubbly when i try and use a scraper to smooth it around my cake, and b)it going very soft when sitting out of fridge even in a cool climate Ive tried beating it slow after its made to get our air bubbles but still hasnt solved the issue. I also dont add all the milk in the recipe because i feel like that would make it go softer than it already does. Wondering if you have any tips to fix these problems? HI! I agree with you about the milk, I have been leaving it out as well. The confectioners sugar I use has starch in it, yes. Oh ok cool thankyou!!! 🙂 Yeah i use the paddle attachment, not sure if maybe im applying it wrong to the cake or something but its very difficult to get nice and smooth. Maybe just have to practice who knows! Hi Gretchen, thanks for this. Could I use only butter without the shortening and what effect will this have? yes you can, it will be softer and not as stable, but YES! Thank you! I was able to find high ratio shortening at a store though not the brands you mentioned, I am making it now and pray it turns out great. Update: Oh Gretchen, it came out so nice! I would say it’s even better than my regular bittercream! And it’s not too sweet. Thank you! I was wondering if I could use normal butter with the same recipe for a non-vegam buttercream. I cannot find any vegan butter here in Taiwan but I do have organic Spectrum shortening. I do not want to use margarine because it is very unhealthy. Can I just use shortening but not butter? I have been making vegan cakes for awhile but never satisfied with the frosting until i find this recipe. I hope it works well. I am from Taiwan and I cannot find vegan butter. Can I replace it with all Spectrum shortening? I do not want to use magarine because it is unhealthy. 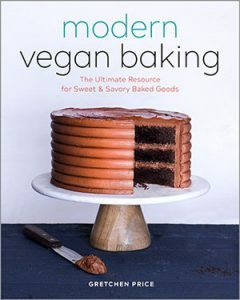 I have been making vegan cakes for awhile but never satisfied with the frosting until i find this recipe. Hope it works! Hello, I made this buttercream and it was delicious and very easy to make. (BTW I also have your book, it’s great). I am planning to use this for a family wedding that will take place outside in the summertime so it will be very warm and humid. Any tips for high humidity situations? Thanks! Hi thankyou! I would leave out the milk addition, and be sure to use shortening for stability, but otherwise GREAT! Hi! I accidentally bought CK’s “cake and icing shortening” and not the high ratio. I’m trying to make a 3 tiered vegan cake, so I really hope it will be stable enough!!! Do you think it will still work nicely? Thank you! I’m in England and I’ve been searching for a decent vegan buttercream that has the right consistency and this is FAB. I made half the amount and it was plenty to fill and top a Victoria Sponge. For anyone else who lives in the UK, I used Flora Dairy Free marg and Trex for the shortening. I used all vanilla extract and I also reduced the amount of icing sugar, as I think you folks in the US have an even sweeter tooth than we do. So, instead of using three cups of sugar I used two and that was plenty for me and my family. Thanks for the recipe. Any recommendations on colouring brands and consistencies please? I’m in UK. I used Pure soya spread 75%, Trex 25% with bounce weight icing sugar and vanilla extract. No milk. When I colour with gel, it ends up streaky doesn’t mix well at all! What milk would you suggest if there is a nut allergy? Hi Gretchen, any suggestions as why I am unable to make this frosting smooth? I made it before and it was better, this time, something is off. What did I do wrong? The sugar is not “dissolving” and the frosting is not light and fluffy… it is heavy and grainy. I have to deliver the cake nevertheless, but I am so upset with myself, perhaps I measured the ingredients wrong? Thank you! Hmm, it’s possible it was measured wrong, but also did you use a different brand of sugar? Hi I generally dont like buttercream because its too sweet. What about this one? Is it very sweet? “sweet” is a matter of personal opinion, so it’s hard for me to say exactly how YOU will think about it. I think it is perfect. Sweet? Yes of course it is because it has alot of sugar like all buttercreams do. This, of all the recipes though will be the sweetest because it is essentially vegan butter/shortening and sugar. Do you have a vegan icing recipe that does not require a special tub of hi ratio shortening? Great thanks! Honestly I have resorted back to Crisco for the shortening, as the Spectrum is not producing good results (too soft) and I cannot get sweetex in small quantities. The Crisco is not the greatest either, but it is greta for stability and that is (afterall) the reason we use shortening in the first place. You can just use all Vegan Butter if you like! thank you for your honest reply. i appreciate that. 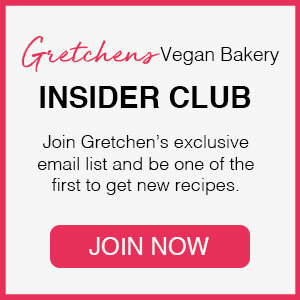 do you have a “go to” non shortening vegan icing recipe in your roster? it would be a good alternative & I would trust yours the most. I will try the reccomended crisco substituition. i went to restraunt depot & oh my goodness! the tub of hi ratio was over 100 dollars! that was the smallest too..lol..
Can this be made chocolate and how? Is is still good for decorating? yes sure, I add melted cooled chocolate (about 4 ounces) at the last stage of decorating. I find it just fine for decorating. Great recipe and super easy once you have the ingredients. I’ve used Hi-ratio shortening for IMB and SMB, so I knew it would be amazing for this. I made a batch of vanilla and chocolate for my daughter’s birthday cake, and it’s a hit with her. I did up the chocolate a little bit because she’s a chocoholic, and added a little brewed coffee (I’m talking about 1-2 tbsp., plus a little more powdered sugar to stiffen it up) to make the chocolate pop. Hi Gretchen, I’m going to make this today for a carrot cake, do you think adding a dash of orange juice would work? I wouldn’t want it to curdle the frosting! yes it will work! I have done it!